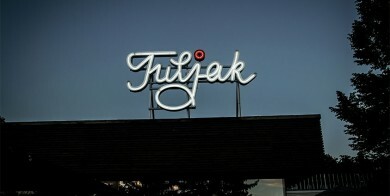 Illuminated signs from experts - Complete illuminated advertising solutions directly from the producer. Read more! button on the side and we will send you the desired information. We take pride in sharing our work. Once we know your objectives, our sales and design team will give feedback on existing ideas. Our team will also indicate our solutions that fulfil the desired objectives 100%. Proper planning is important as it ensures quality results that suit the surroundings and provide good visibility. Taking time in the initial phase to consider different solutions and to understand their consequences is important for avoiding compromises that might produce an undesired end result. Once aims and wishes are specified, the designers take over. They cooperate with the production and project manager to ensure that everything is realistic. 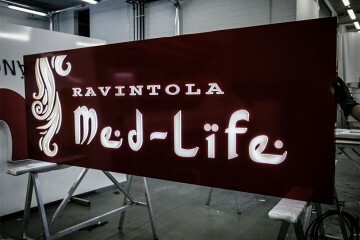 Different fonts and technical solutions need different approaches, requiring complete sketches before production begins. Once final sketch and offer has been confirmed, constructors create an exact model and construction drawings using special 3D software for the illuminated advertising. This stage is important as it ensures that the planned construction is stable and able to withstand different weather conditions before actual production. This phase is especially critical in case of special solutions where we might meet certain challenges for the first time ourselves. Our production uses very contemporary machinery, including a CNC bench, edge benders, welding benches and light masters. What stages does a product pass before completion? During the production process, production managers follow a certain work process to ensure that all requirements and deadlines are met (including an optimal installation schedule). Sales managers take care of the entire communication between the client and the company during the entire production process. 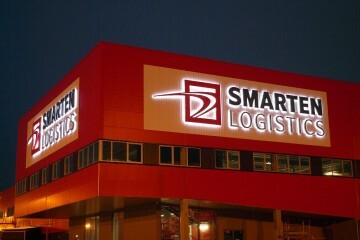 Transport and packaging always depend on the type of illuminated advertising product. Both soft and hard packaging is used as required to ensure that the product reaches the installation site unbroken and with good quality. In addition to more immediate areas, we have sent our products to Scandinavia and the United States making us very experienced in proper packaging and transport. 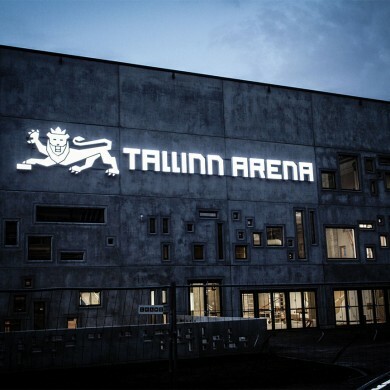 Over the years we have developed trustworthy installation teams which are capable of installing illuminated advertisements on roofs or high up on façades of buildings. Full attention is given to every project regardless of size, as poor installation may ruin the previously completed perfect task. Illuminated advertising PRICE – how is it derived?